I like the idea that National Newspaper Week and Great Books Week both happen on Oct. 7-13. Journalism has been famously –and accurately– described as “the first rough draft of history.” The authors of great books must paint complete pictures from the rough sketches that journalists start. There are countless examples such as “The Best and the Brightest,” the late David Halberstam’s account of the politics and tragedy behind the war in Vietnam. That remains true in today’s overheated America. At least we’ve been there before. Whether you’re talking about the McCarthy Era, Vietnam, Watergate, the current era of Trump or other crisis moments in our history, there is no way to know the final outcomes while the story still unfolds. What we do know is the fierce criticism that journalists faced in the heat of such moments proved to be mainly unfounded in the judgment of history. Time needed to pass, more facts needed to come to light and people had to catch their breaths. The movies “Spotlight,” “The Post,” or “All the President’s Men” can give you a feel for what journalism looks like at its best. When I taught college journalism, I used a case study from “All the President’s Men” that discussed when the famed duo of Post reporters Woodward and Bernstein messed up. They reported that Hugh Sloan, a key figure in the Nixon reelection campaign, had testified to the Watergate grand jury that top Nixon aide Bob Haldeman controlled a secret fund of campaign dollars used to engage in domestic spying and dirty tricks. That wasn’t true, and press secretary Ron Ziegler –the Sarah Sanders of his time –seized on it to discredit the Post. The error was this: Sloan would have testified that way, but the grand jury never asked him. Getting the gist right but not the details mortified the two reporters, as it should have. It was a forever reminder on the importance of precision reporting, especially when stakes are so high. Journalism isn’t always at its best, of course. Too much coverage today seems breathless, biased and overheated. (Are you listening CNN, MSBNC and Fox? Damn, I miss Walter Cronkite.) Too many self-proclaimed-but-not-really journalists don’t practice the standards I was taught as a young reporter and later as an editor. Still, I can comfortably predict that 20 years from now, most Americans will be grateful that the free press was around in these bizarre times that have started more arguments in my own circle of friends than I can count. Closer to home, thousands of Ohio journalists and other employees of around 300 print and digital media outlets across the Buckeye State are working every day to cover and, yes, support their communities. They are flawed humans just as you are, but they care deeply about their families, their neighbors and where they live. That’s why, to mark National Newspaper Week this year, the Ohio News Media Association decided to take a different approach. Ads you may see throughout the state this week promote the work of the real people who produce your newspapers every day. Truer words were never spoken. Please join me in thanking Greg and several thousand of your other Ohio newspaper neighbors and across America during National Newspaper Week. 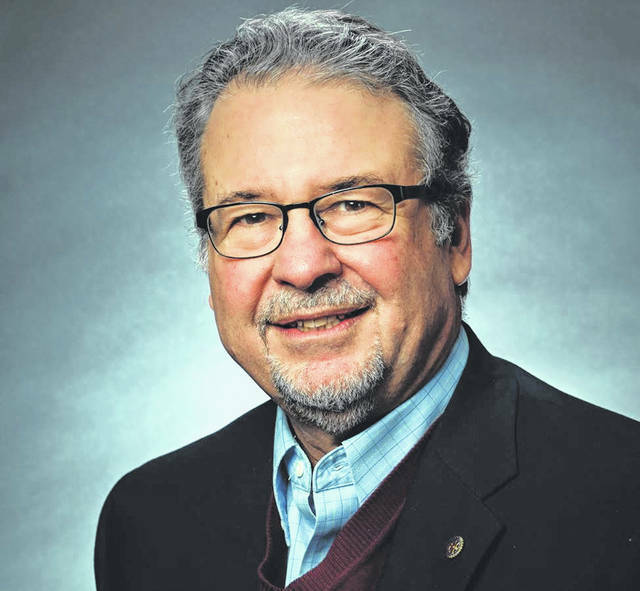 Dennis Hetzel is executive director of the Ohio News Media Association in Columbus.